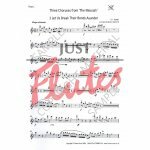 Flute Choir/Ensemble - 4 Flutes, alto flute, bass flute, optional contr'alto flute, contra-bass flute. 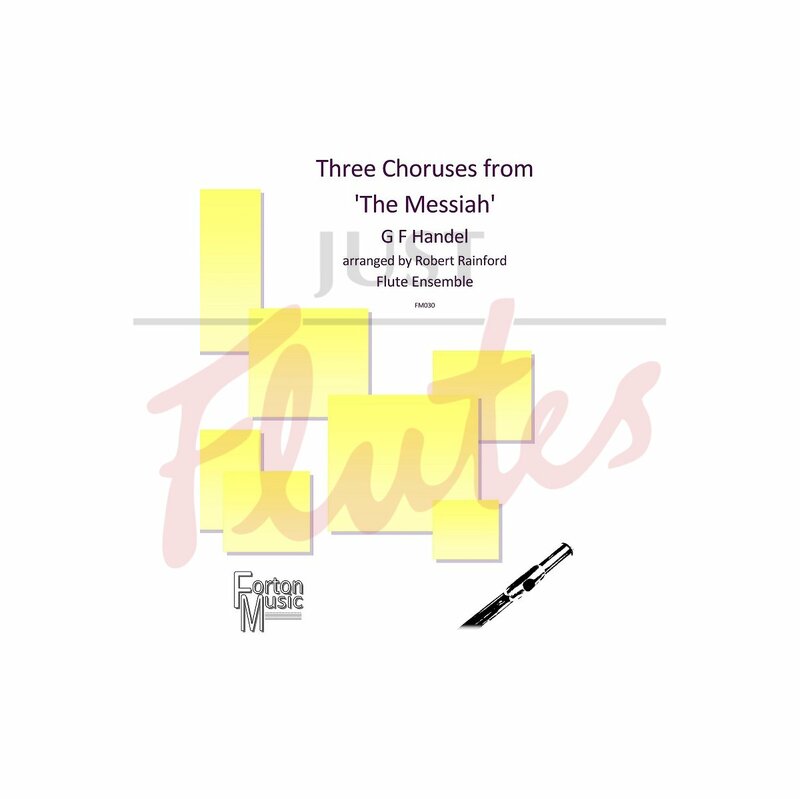 Three choruses from Handel's Messiah (Let us break their bonds asunder, For unto us a child is born and His yoke is easy) arranged for large flute choir. The contrapuntal nature of these pieces takes them out of the realm of a simple sightreading exercise and makes them really meaty pieces that need careful practice and rehearsal. 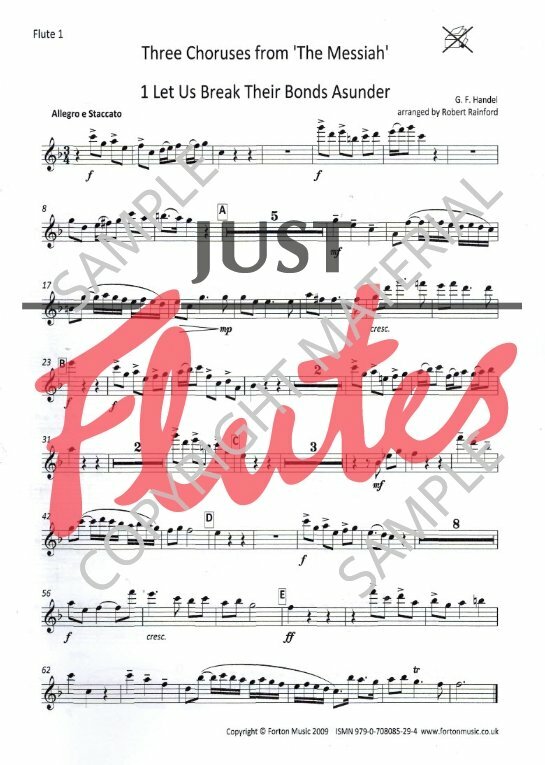 All parts (even the lowest flutes) take part in the counterpoint, and flutes one and two need agile fingers and nimble tongues to negotiate the extended semiquaver passages. Something different for the Christmas concert!